The best macro camera will not only be able to deliver jaw-dropping detail close-up but will also feature good telephoto zoom capabilities. It often serves as midway between a dedicated macro lens and a zoom setup. Despite the wide angle covered by most zoom cameras, some exhibit macro capabilities which are second-to-none. Here we’ll be taking a look at a range of cameras with excellent macro shot modes. From point and click 4K cameras to highly configurable professional quality options, we’ve covered them all. 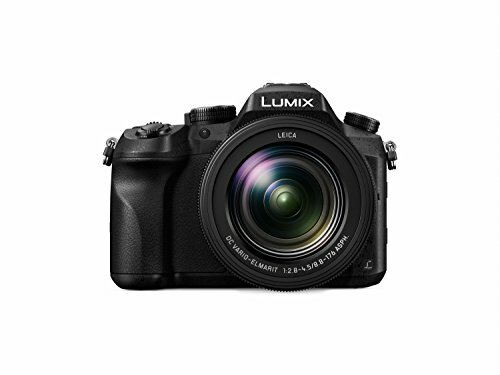 For a point and shoot 4k camera which can handle any subject in gorgeous detail without needing to swap lenses, look no further than the Panasonic Lumix FZ2500 4K Point and Shoot Camera. 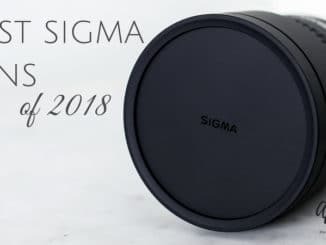 It has 20x zoom, 4k video with outstanding sensors and post focus, and maintains sharp macro shots with support for a range of density filters and long exposures. 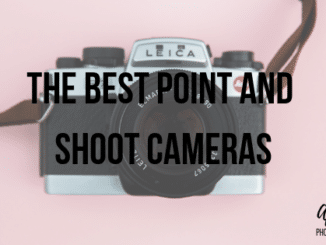 This is a point and shoot unlike any other. Here we’ll be taking you through a closer look at the Lumix FZ2500. One cannot fault the impressive features exhibited by the FZ2500. It is far more portable than anything in its class while remaining superior in terms of versatility. The body could easily be confused for a DSLR, clearly hinting towards the quality of this fixed lens camera. Professionally it is known as a bridge or mega-zoom camera, sporting dual control wheels, countless shortcut buttons, a mode dial, burst mode, and a zoom ring. Controls are conveniently situated atop the camera for the most part, while each of these seven function buttons can be completely customized. The FZ2500 also comes with a hot shoe for those who would prefer an external flash. At the rear, a flip-out tilt screen gives easy access to all of the onscreen controls, while the electronic viewfinder works equally as well. Seven frames per second are given in burst speed shooting mode with autofocus continually on, and you’ll capture a minimum of 30 RAW files or 100 JPEGS before pausing to process them. 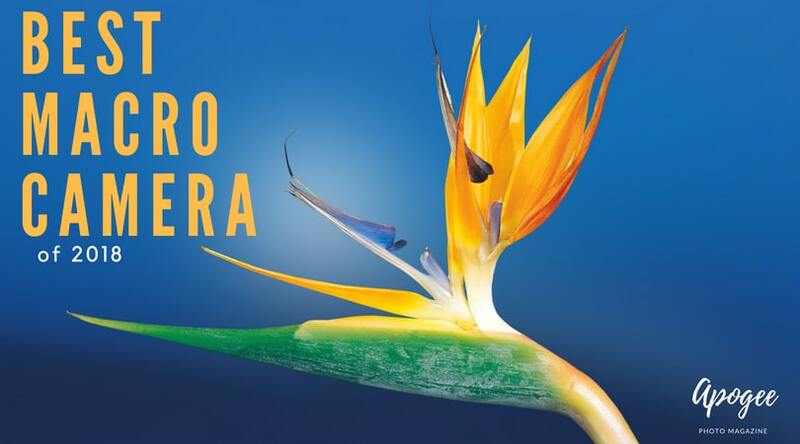 With its 20x telephone zoom lens, the macro mode is nothing short of outstanding. The camera has quality good enough to shoot the fine detail found in snowflakes. 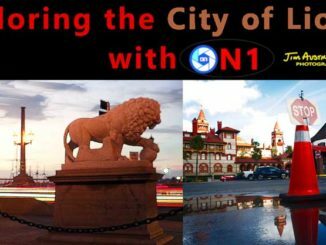 It lets you focus on objects which are as close as 1.2-inches from the lens at a 20x zoom, and a maximum of 3.3 feet away at max zoom. When you combine the great lens with the reliable focus and a feature termed Focus Stacking, you get macro shots which are among the best. This innovative option combines multiple images taken at varying focal lengths. The merged image is far sharper but has a wider depth of field. Both amateurs and professionals are capable of vivid macro images thanks to this and the brilliant sensor capable of working perfectly in bright and low-light conditions. 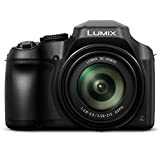 The Panasonic Lumix FZ2500 4K Point and Shoot Camera comes at a premium price, but if you can afford it, you’re guaranteed spectacular shots and long-lasting service. With its massive zoom lens, great dynamic range, and versatile ISO performance, the Sony DSC-RX10 III Cyber-shot Digital Still Camera is classed as the best macro camera for those seeking versatility. Heralded as easily one of the best all-in-one cameras, the Sony DSC-RX10 III has a huge reach, incredible video-related features, and quality composition throughout its design. Let’s take a closer look at who this great camera is best suited to. Sony’s DSC-RX10 III Cyber-Shot is a fantastic bridge camera for enthusiasts. It gives you 20 megapixels through its 24-600mm equivalent F2.4-4 lens and 20MP 1″-type stacked CMOS sensor. The Bionz X processor works very well, and the macro shots are good, if not the very best. The 72cm focus distance does not deliver true super macro quality, but it sure comes close. Zoomed in or out, the sharpness of all images shot with the camera will surprise you. Continuous shooting is delivered at 14 FPS, while full HD video records at 120 FPS. The camera has a great maximum dynamic range and the image stabilization in still shot, and HD video recording modes work flawlessly. 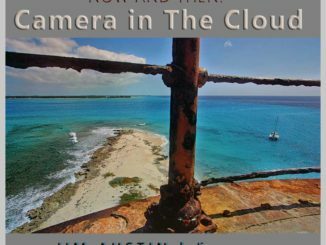 Due to the nature of a super telephone lens, there is a learning curve to getting the most out of this camera; yet, once you have, it mastered you have a camera which is more versatile than most competing models. However, the lens is more suited to distance shots than macro imagery. 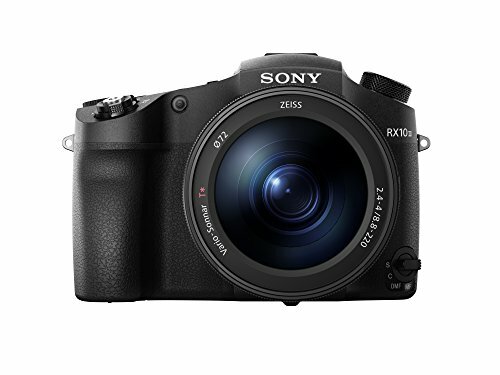 Featuring a bright display, an electronic viewfinder with a practical, functional lever giving a traditional means of shooting, and a way to focus manually in poor light conditions, and image quality clearly showing Sony’s drive for innovation, the Sony DSC-RX10 III Cyber-shot Digital Still Camera is a brilliant camera. The detail provided by the sensor is better than most cameras of matching specifications, while the noise levels remain low even in saturated pictures. 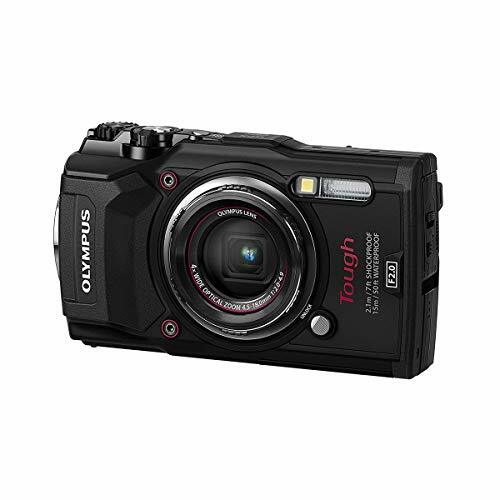 The Olympus TG-5 Waterproof Camera with 3-Inch LCD is tough, quick focusing, and has a brilliant macro shot capability. With burst shooting reaching 20 FPS, RAW support, and 4K video, this camera is both practical and packed with value. It even has a built-in GPS and features a fantastic wide aperture design. This is one of the best macro cameras for outdoor photographers, and it is quite well priced. Here we’ll be looking closely at what makes it a top choice. The lens of the Olympus TG-5 has a field of view equivalent to a 25 mm total-frame lens. Thanks to the 4X zoom, it matches the field of view of a 100 mm lens with a f/4.9 aperture. Low-light performance is great when not zoomed but suffers in dim light when zooming. A dedicated macro setting is available which enables a mode termed “Microscope.” This tightens the field of view by narrowing the maximum aperture. With the aperture set to f/2.3 images are given a brilliant focus. Subjects focused on are magnificent to 2.9 times life-size at its widest, closest configuration, and 11.1x life-size when focused as close as you can. When you set your aperture to the maximum wide-angle setting of f/2.0 you are rewarded with brightness which is perfect for underwater shooting. Waterproof to 50 feet, freezeproof to 14 degrees Fahrenheit, dustproof, crushproof and shockproof, this is truly the perfect active outdoor camera. A field sensor system is supplied, while the camera even has a built-in manometer, compass, and temperature sensors. Auto-tracking and autofocus work very well, following and adjusting the focus and exposure for faces found in the frame. It focuses quickly with the only delay happening when fully zoomed in which is well worth the wait given the impressive detail of the macro shots. 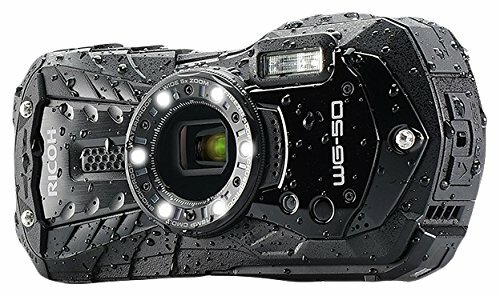 4k video is not as good as a dedicated device, but the Olympus TG-5 Waterproof Camera with 3-Inch LCD is significantly better than other cameras in its range. When you combine the action shooting capabilities with the immense detail of the close-shots, you clearly have the best macro camera for rugged, regular use. The Ricoh WG-50 16MP is a camera which will handle any environment no matter how harsh. 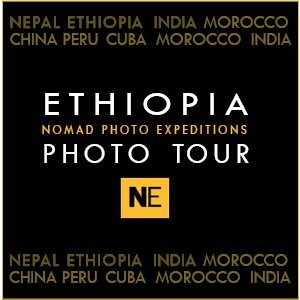 It is the perfect adventure camera for those looking for outstanding macro photography. A favored camera of divers, the WG50 delivers outstanding quality pictures even in difficult lighting conditions. It is quite a bit smaller than most competing cameras which is great for portability. Here we’ll be showing you the highlights of the Ricoh WG-50 Digital Camera and explaining who it is best suited to. This durable camera is quite small and very lightweight, measuring just 4.8 x 2.4 x 1.2 inches. It is therefore small enough to be carried around in your pocket, ready for use in an instant. While it only gives 16-megapixel detail, the images are crisp, clear, and popping with color. The CMOS sensor handles most lighting conditions very well, and the 5x zoom is equivalent to a 28-140mm. Thanks to the outdoor view setting, the 2.7-inch LCD is clearly visible on bright days, carrying a detail of 230k dots. While not the ideal choice for seasoned professionals, the display does work adequately as a viewfinder. You are given a great range of shooting mode options with the Ricoh WG-50. Your options include fully automatic, HDR, handheld night mode, movie mode, and high-speed movie mode, close-ups, flowers, portraits, underwater stills and dedicated configurations for surf shots, pets, children, and more. The entire unit is very easy to use, and the buttons are well placed and intuitively designed. Each charge gives you roughly 300 shots or 90 minutes of video recording. This is nothing special but far from lacking. While not a breakthrough in power nor functionality, theRicoh WG-50 16MP is a reliable, highly affordable camera for anyone who needs rugged construction capable of handling any terrain. It is also one of the best underwater cameras in its price range. 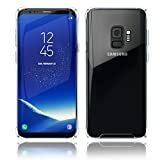 Thanks to its ease of use, it is also a great camera for families. The macro performance is very good, but for a dedicated close-up camera, there are better options available. Thanks to its 100-foot waterproof rating, the Nikon W300 is one of the best deep-dive macro cameras available. 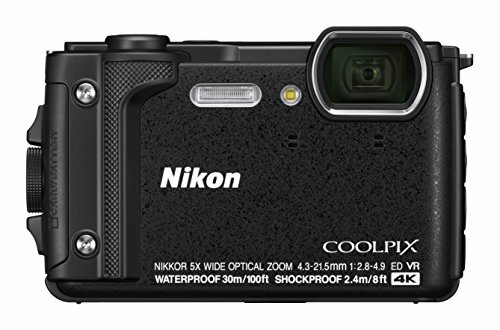 It follows on Nikon’s tradition of high-quality point-and-shoot cameras, lacking but one or two optional features of its higher priced competitors. This being said, the Nikon W300 is extremely versatile and gives great macro shots effortlessly. The built-in flash is also outstanding, as is the overall design. Here we’ll be showing you who the Nikon W300 is best suited to and why it is seen as the best macro camera for deep water diving. The Nikon W300 Waterproof Underwater Digital Camera gives you 5x non-telescoping optical zoom (24mm-120mm) and an ISO range of 125-6400 ISO. The lower ISO settings give fantastic images, but as the ISO rating increases, the shots become very grainy suffering terribly from noise. Despite the poor low light performance, in a decently lit environment, the quality is outstanding. A macro mode gives beginners excellent images with little effort as long as your light is good. However, the W300 is missing RAW mode which is highly sought after by any regular photographer. Without RAW shooting you lose the ability to perform extensive touch-ups in editors such as Photoshop. At 100-foot water resistant, this camera is the clear winner for deep dives. It is also capable of burst-mode operation at seven frames per second. Most of the time the flash works very well, while the autofocus adjusts quickly and smoothly between lighting environments. However, you cannot adjust the flash output without first changing the exposure compensation settings. You also get 4K video recording with a range of filters and features including a time-lapse mode. Both still shots and video benefit from practical, useful filters and scene modes. As is found with most good quality outdoor cameras suited to adventure seekers, the Nikon W300 is waterproof, shockproof, freezeproof, and dustproof. It features a built-in altimeter, depth meter, GPS, and eCompass, while low energy Bluetooth is also provided. Its Wi-Fi connectivity is effortless to work. Beginners and casual users will love the automatic scene selector, granting great all-around quality no matter what your activity. If you are an outdoor lover who wants good quality without a fuss, look no further than the Nikon W300. If you are a diver, it is a must-have. 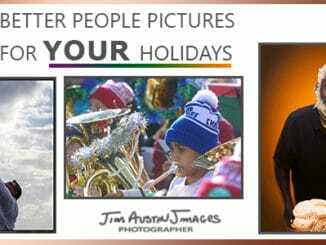 Out of the five cameras evaluated, the most versatile option is clearly the Panasonic Lumix FZ2500 4K Point and Shoot Camera, but it comes in at a noticeable cost. If you are a fan of outdoor adventures and high-speed sports, then your best value is found in the Olympus TG-5 Waterproof Camera with 3-Inch LCD. Nikon’s offering has better water resistance, but the Olympus is generally the better-quality camera. 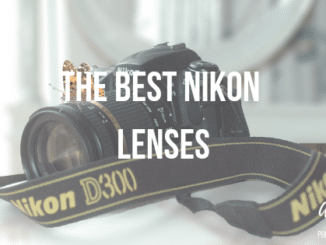 If on a tight budget, you won’t be disappointed by the Nikon W300, even though professionals will miss the RAW shooting capabilities.